By means of a formal proclamation made public to the international community, a coastal state may establish a zone contiguous to the territorial sea and extending a maximum of twenty-four nautical miles from the baseline. Consequently, the breadth of the contiguous zone itself depends on the distance proclaimed and on the breadth of the territorial sea. If the territorial sea of the coastal state has the maximum breadth of twelve nautical miles, then the contiguous zone can have a maximum breadth of only twelve nautical miles. 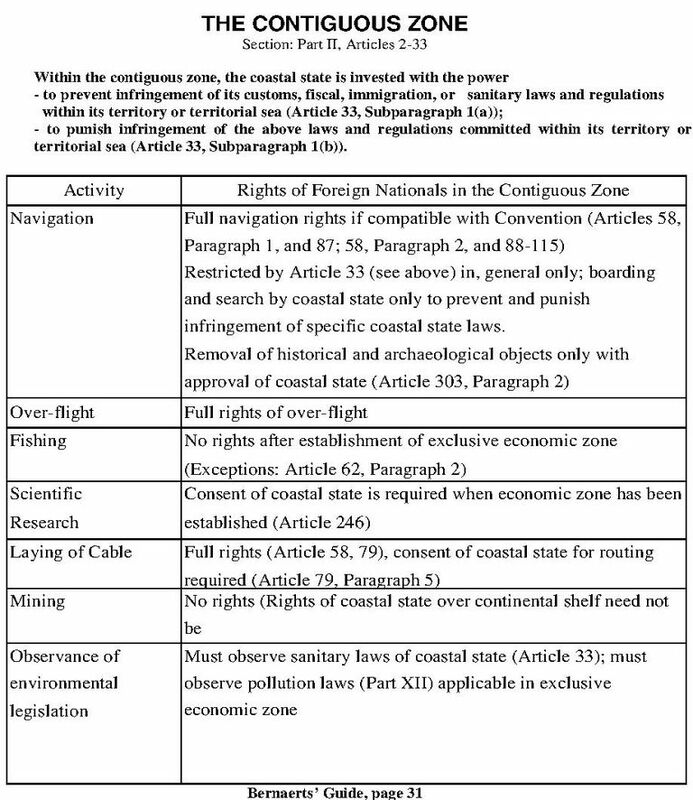 The contiguous zone enjoys independent legal status only as long as the coastal state has not proclaimed an exclusive economic zone exceeding the outer limits of the contiguous zone. If an exclusive economic zone is established, it begins beyond and adjacent to the territorial sea, with the resultant effect that the contiguous zone becomes a part of the exclusive economic zone, and all provisions which apply to the latter also apply completely and fully (as there are no exceptions) in the contiguous zone. The principle of freedom of navigation applies in this zone as well as elsewhere outside the territorial sea, but other states are to have due regard for the rights of the coastal state in the exclusive economic zone and to comply with its laws and regulations. The rights derived from this provision are of two types: �prevention� and "extended power�. 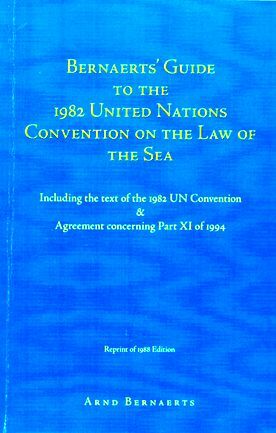 Rights of �prevention� mean that the coastal state exercises police force limited to "control" necessary to prevent infringements of customs, fiscal, immigration, or sanitary laws in the territorial sea or territory of the coastal state, including boarding and searching and even prohibiting the foreign vessel from entering the territorial sea. If there is no such infringement, the coastal state has no further rights. "Extended power" to apply national criminal law goes into effect if there has been an infringement of the laws listed above within the territory or territorial sea of the coastal state. In many instances of such infringements, coastal states would also be able to exercise the right of hot pursuit. There seems to be hardly any need for the concept of a contiguous zone, particularly now that the territorial sea has been extended from three to twelve nautical miles. Finally, it is worthy of mention that the Convention unexpectedly and rather curiously grants' special status to the contiguous zone in one other area: in order to control traffic in historical and archaeological objects, the coastal state may presume that the removal of any such objects from the contiguous zone without the state's approval would violate the laws mentioned in Article 33, and the state may act accordingly. The law of salvage and other international rules and agreements remain unaffected.